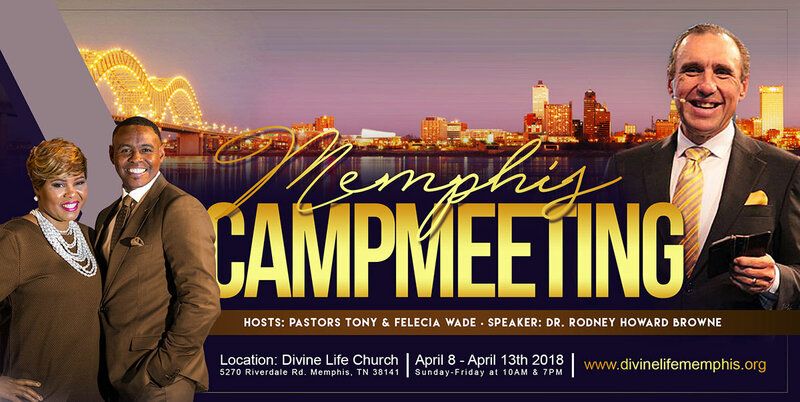 Divine Life Family & Friends, Pastor Felecia & I invite all of you to join us & Dr. Rodney Howard-Browne for Holy Spirit Campmeeting in Memphis, Tennessee at Divine Life Church. There will be powerful preaching, teaching, and demonstration of the Holy Ghost. The hearts of many will be touched and changed forever by the Spirit of God. This is one week that you won’t want to miss. Come ready to receive from Heaven! at a rate of $126/night. Dates: 4/7/18 (check in) – 4/14/18 (check-out) at a rate of $109/night.